I see no reason to believe he has turned this completely around in one year. Do things look like we may be in the right track? Yeah but we all saw how much there is to fix and I severely doubt Pruitt has done that at this point. Does feel good to see things that are musts if you are going to fix a broken ship though. Such a weak statement. You know full well you wouldn't ask him because he would look at you like who's this idiot. in just 1 full year!! He's managed to completely flip the roster through recruiting and brilliantly using the transfer portal, improved seemingly every position group, improved the PWO program (it matters a little), I think he's put together a great staff blended with both veterans and young whippersnappers and he's got an AD in Coach Fulmer that is willing and able to get him whatever he needs. Best of all he's snatching kids from Saban and Kirby!! I thought he was in over his head a bit last season, everything seemed rushed and a step behind. What a difference a year can make!! CJP seemed relaxed yesterday, showed a bit of personality and just seemed to be on top of things. Year 2 is generally big for great coaches and many of us feel we've got a good one. I think the roster is a good blend of experience, youth and talent, next year is the easiest schedule we've had since this mess started and the Vols are currently the #1 team in the country!! I believe we go 10-3 next season and the curse is lifted!! See you all next fall!! I will wait to say he delivered if he can win ball games. Some people thought Butch Jones was good when he first started. I do LOVE what Pruitt has done so far. He has made all the right decisions so far. I just think there is not enough evidence(wins) to show he has “delivered”. These kids may all be bust. I really doubt it though. Some people that Butch Jones was good when he first started. Gym coach Jones was always a donkey coach and many fans could tell immediately that he was never gonna be successful. If you can't see the differences in Pruitt and jones then no sense in us debating. He has delivered exactly what I said. The results remain to be seen but through year 1 Coach Pruitt has made huge strides in several areas and all that's left is winning. These dummies moaning and groaning over JG is what's getting old. It's really the only argument many of our NegaVols have left and hopefully winning will cure it. He has definitely delivered as much as he can in year 1. As long as we are 7-8 wins next year then I expect him to continue the trajectory. By the way, don’t insult gym coaches by comparing them to Lyle. I call him that because I was always amazed that a gym coach could trick our university into paying him millions of dollars! You're right though, it is an insult to real gym coaches! All that matters is winning, until he does that he hasn't delivered. Winning is not all that matters. Why would you be a fan of any sport if you believe that winning is all that matters? I can't believe there are people that really believe that. Newsflash, you're gonna have a crappy time in life if only winning matters to you. Good grief. You know what he means and I don't know why people argue it. Its dumb. Just like BOT and his QB argument. In the multi-billion dollar world of D1 football, winning is all that matters, CJP could turn all of his players into Rhodes Scholar choir boys but a couple more losing seasons and he's out on his azz because he is paid to do 1 thing. Win football games! Winning is the only stat that really matters. It is THE stat that matters if a coach is to survive. It isn't because we don't care about other stuff. We do. We just don't accept that they can be mutually exclusive. We want wins AND a clean program. PS- I think Pruitt is a much better coach with a much better chance of success than Jones. Winning consistently matters and winning the right way matters but those that focus on just winning are big time losers I feel. Several coaches run good to great programs and they've never won anything much to speak of. What has Dan Mullen ever won and he's considered one of the best in the SEC? Winning is not everything. So your're argument against the importance of winning, is to cite what Dan Mullen did at historically bad Mississippi State, with an average recruiting ranking of 24.6, who parlayed his record at MSU to landing the job at Florida, where he look them from a 4-7 record the previous season, to a 10-win season in his first year? That's your argument against the importance of winning as a D1 football coach? I do as well, I'm just not ready to bow and kiss his ring until he proves it on the field. If Mullen doesn't win the SEC in 4-5 years at UF, he will be out on his azz. That would give him around 20 years coaching in the SEC, 30 in the profession, millions of dollars in both his and the university's pockets, thousands of kids he helped turn into young men, well respected and generally well liked and never won anything. Winning is not everything, never has been and never will be. CJP has certainly shown he's working hard to get the Orange back to SEC prominence. He was a rookie HC so expect him to improve on many things quickly. We have a good one and I hope he turns out to be great. I support him fully and think that we can reach a bowl game this year, but still a year or two away from challenging Georgia or Alabama. Elite recruiting and coaching hires. Hell, I know I'm an idiot. But like most idiots I would probably ask an idiot question. We idiots know no bounds. BUT, if I did ask, he might just answer the way I envision. Great job by Pruitt but we are still behind 6 SEC teams in recruiting. Our O line & QB would need to take big steps to get to 10 wins next year but hope springs eternal. 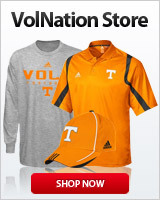 Especially in the Spring for Volnation. I do think we are trending up. No, six teams had higher rated classes but we won't know for several years which class is behind in production and that is the only thing that matters.... we already have 11 or12 guys enrolled among our IC's this class..... about eight or nine of them were at least 4 stars or better... how many of the six schools are beating that.